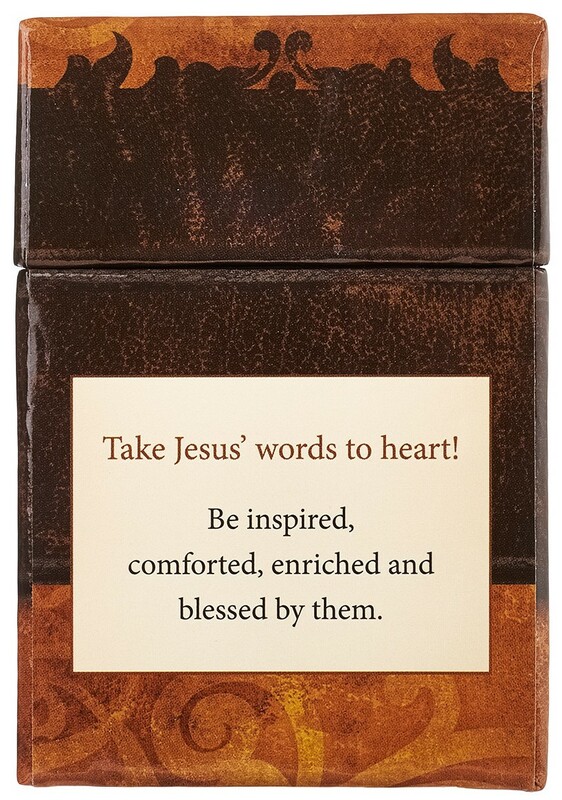 Be inspired, comforted, enriched and blessed by the words of Jesus, printed on 52 double sided, playing card sized, cards packaged in a lidded box. 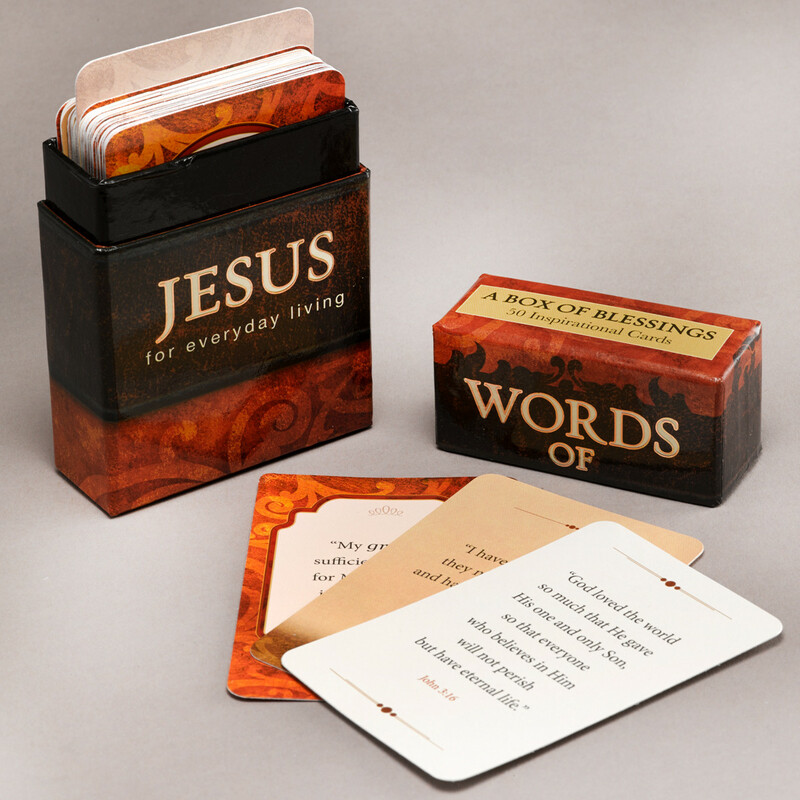 Give them all at once to draw from for inspiration, or keep a box to tuck a blessing into a lunch bag, briefcase, travel bag, pocket or purse, or to pass around in class or small group. Your small gift will be received with smiles and gratitude for your thoughtfulness. 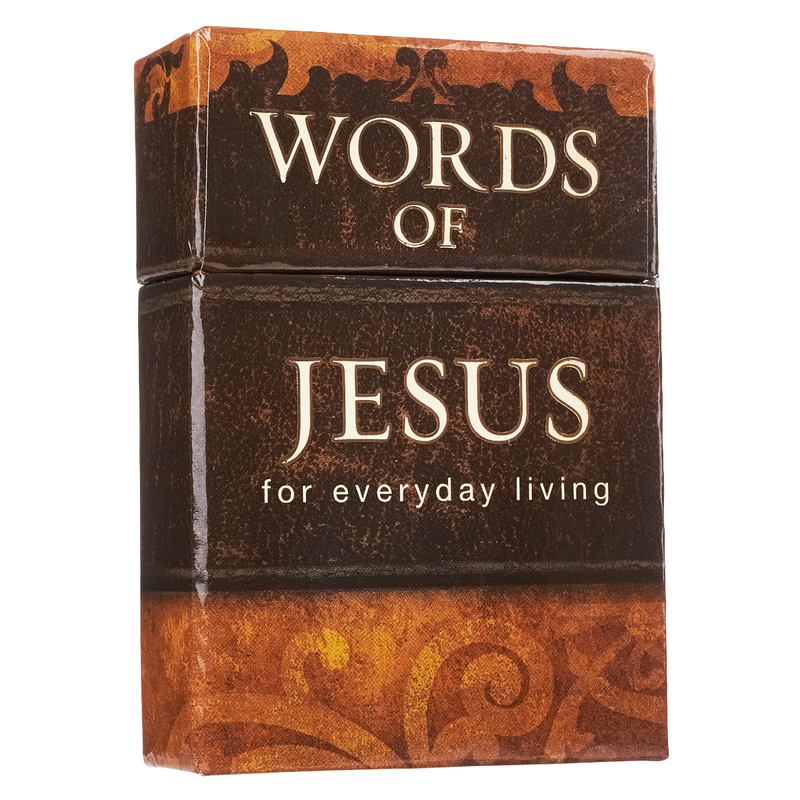 Words of Jesus by Christian Art Gifts was published by Christian Art Gifts in February 2012 and is our 227th best seller. 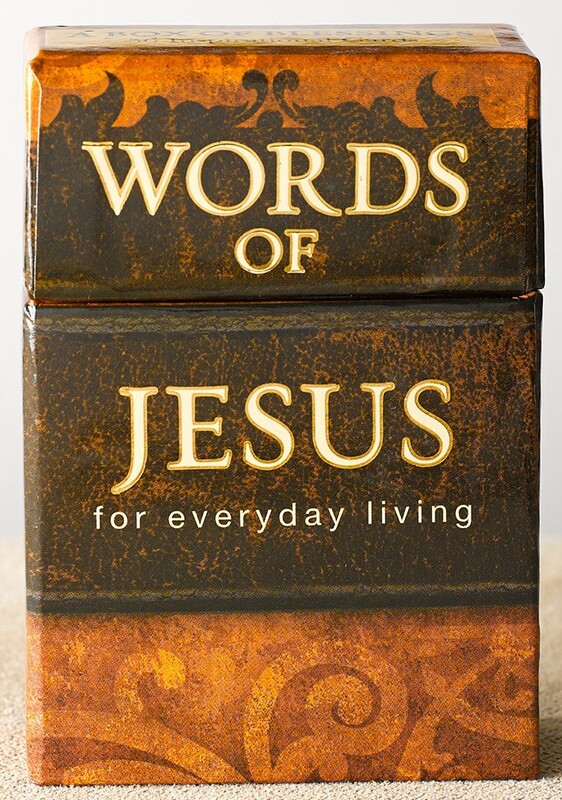 The ISBN for Words of Jesus is 6006937107618. 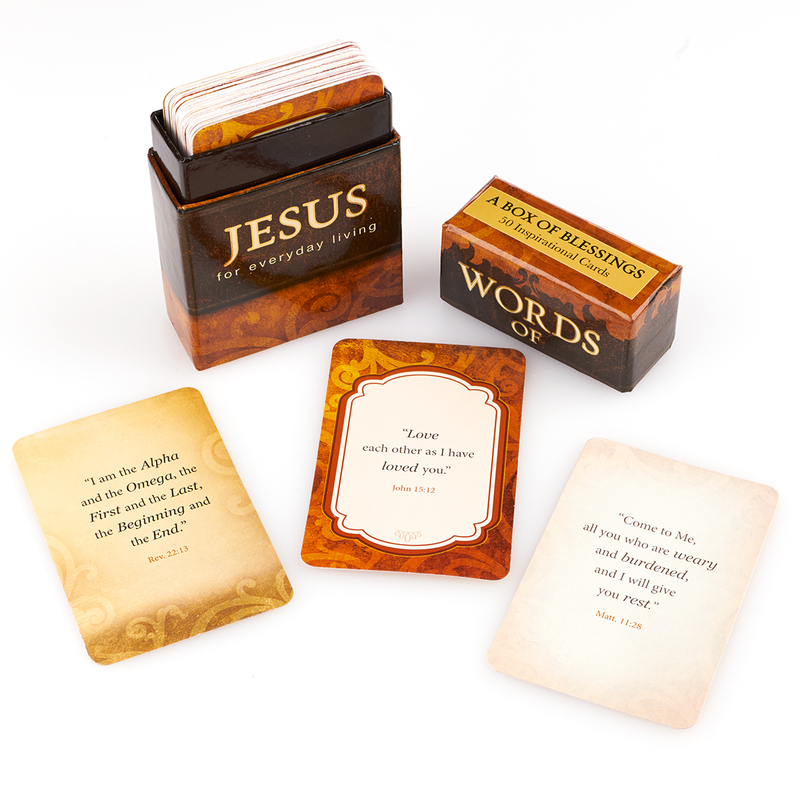 Be the first to review Words of Jesus! Got a question? No problem! Just click here to ask us about Words of Jesus. A:We don't have a Spanish edition of the Boxes of Blessings. Thank you for using the Q&A Forum.